Non-BR romances? Take a peek at another possible view of the Will-Buffy story in the Cicelyverse with "Spring Will Be A Little Late This Year" or our (mostly in progress) Cicelyverse's Read "You Only Live Thrice..." "Buffy:Nemeses...er Nemesis..." "Groom of Rosenberg" (now part of a series with the ongoing "Daughter of Rosenberg...") See Will and Cicely's fate take a different turn in 1880 with "Drusilla..." And in the modern world with"Fated" Or, see their most bizarre past life yet in "The Secret Diaries of Samuel B. Pepys" Or more Pepysian tales at the Sam and Bess Group site"Sam and Bess Tales"
Or see Buffy's dark side in the Anneverse with "I Love Ya...Truly..." and "Anne..."
...Or, if you're Done with Love, view and approve the First's Hell Hygene film "Reckless Love..."
Or...for those who love Harry Potter...Boiled..."One More Potter Xover..."
Celebrating 14 years of enjoying driving people crazy with my ... And lot of generous readers...Thanks. New tales ongoing- "Tales of D'Hoffryn...";"Rustic Chivalry..."; "Who?... "; "Cicely the Vampire Slayer"; "You Only Live Thrice"; "Daughter of Rosenberg"; "The Buffy Effect"; "Twilight for Anonymous"; "The Metropolis Story"
Old tales long overdue completion-"Buffy:Nemesis"; "Drusilla"; "I Love Ya Truly"; "The Vampire as Metaphor"; "Life With Mother and Father"; "Mona and the Monsters"; "Immortal Beloved-South by Southeast". 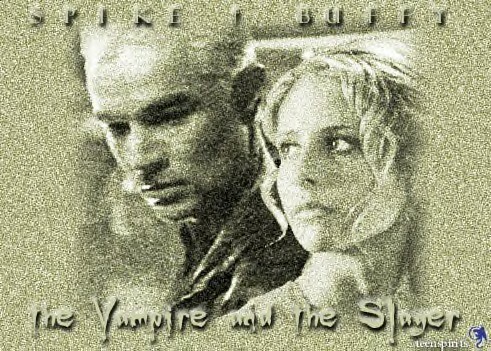 Disclaimer: All BTVS characters portrayed here remain the property of Joss Whedon and other owners/creators of the Buffy the Vampire Slayer series. More (Semi) Parallel Lives- "I, Xander"
Still More (Semi) Parallel Lives- "Buffy vs Bambi"
See Stories outside the BRverse? Check Stories in Progress and Upcoming? Want to submit a story? or an idea? See Other Links? Story Sites? Fansites?